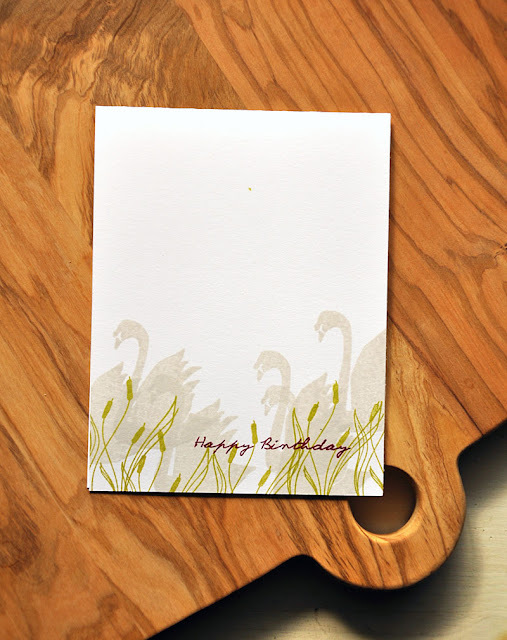 Hello and welcome to day three of the December Papertrey Ink countdown! I'm back today with another sample using the new Swan'sational. Here I've created a swan scene using only two images from this set. 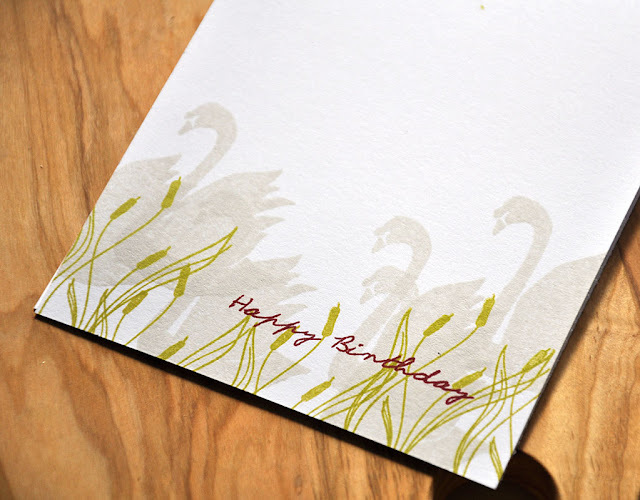 The grouping of swans were stamped in soft stone and then a row of cattails were stamped along the bottom edge in simply chartreuse. The sentiment was inked and stamped in scarlet jewel to complete this simple one-layer wonder card. Well, there's a quick look at Swan'sational. Just remember... Just remember... everything showcased today will be available for purchase through Papertrey Ink, beginning December 15th. Love the simplicity. So peaceful. Simply elegant, Maile. I love cards like this! Oh, wow. This card is so graceful. You have me looking at this set differently today, Maile. Love this card. My 86 year old mother lives in a senior development called Swan Lake. She would display this for a long time!! I am always drawn to your cards. Never fails, if it draws my attention it is designed by you! They are beautiful and eye catching to me. What a beauty! I'll have to get this stamp and the die.